New Must Have Paypal Software - every user needs. Works on both Mac & PC. 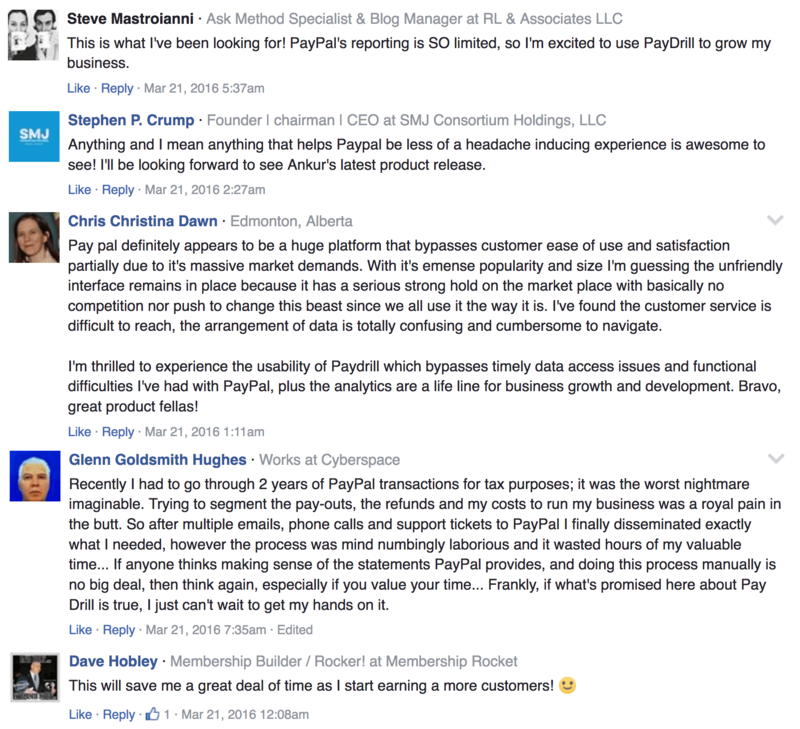 Uncovers Data & Metrics that Paypal does not show you. Gives you FASTER & Easier access to your Paypal. Export Customer Emails in 1-CLICK and Get Instant Reports + Data that can Double Your Business. Created specially to work with Paypal and make your life easier, see stuff you’ve never seen before with this. 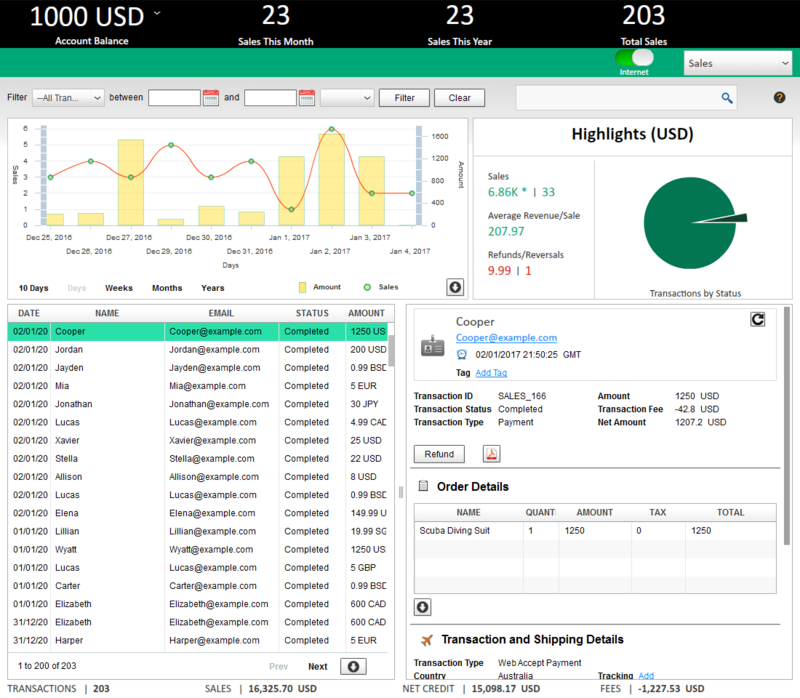 See metrics like average value per customer, avg order time, order frequency and sales profit/revenues in one view. Whether you sell online or just use Paypal for purchases, now you can track everything easily. Save Money & Grow Your Business at the same time. With our dynamic search & filters, never again will you have to wait every time you search for a transaction or a customer, PayDrill gives instant results. PayDrill works right from your desktop and downloads all data on your computer which means you don’t need to be online to find anything or run reports. 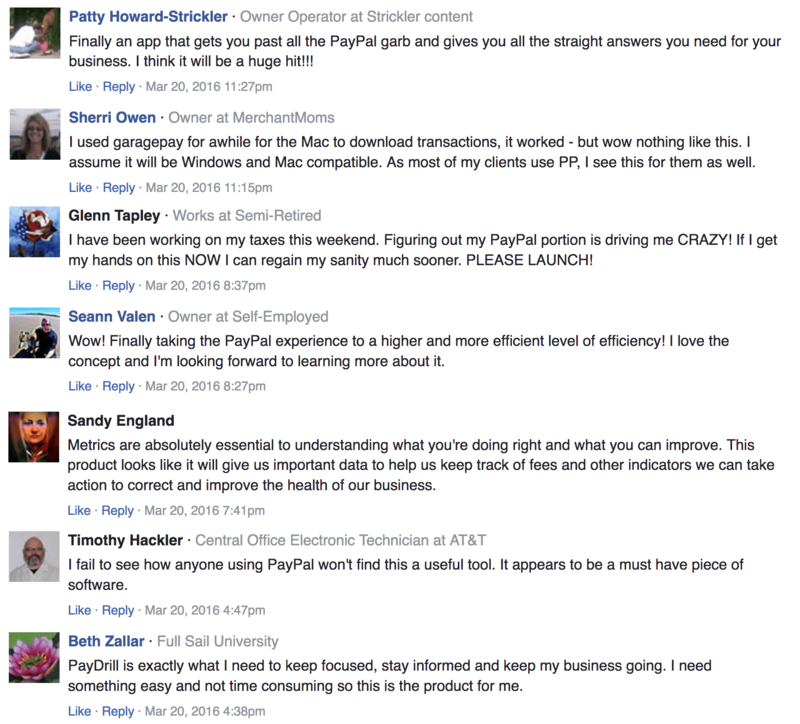 Do you use Paypal for your online business? If yes, you must get notification emails every time you make a sale or earn a commission in your account. But… that’s just about it. It’s a lot of data but not…INTELLIGENT DATA! PayPal is great for sending and receiving payments, selling your products and services. Do you know what TIME of day you get most of your sales? How Frequently do you make sales from your online business? Which countries do you get most sales from and where do you have the highest refunds? What are your most profitable products and which ones are losers? Companies like Amazon, Uber, Apple, Ebay, Netflix and many other Fortune 500 Companies USE THIS DATA to grow their business & take decisions. Every Customer, Sale & Transaction Counts. Even a single TWEAK at the right place can add another $10,000 to your income, easily. Simply knowing your average value per customer can tell you how much you are willing to spend to acquire them & how you can scale your business, get a BETTER ROI instantly. Just like you, we have been using Paypal for YEARS and have been desperately waiting for these metrics to be added to their interface. We wanted Faster Access to all our transactions, sales and customers which would help in growing our business. 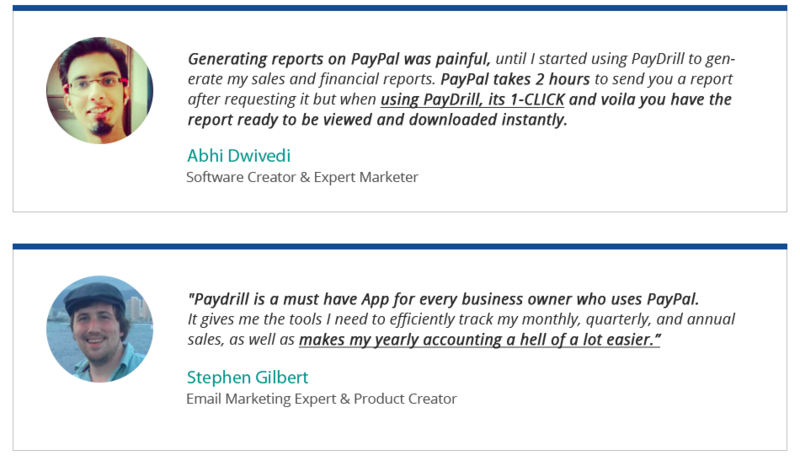 PayDrill is the ultimate Paypal software the reveals amazing metrics for your online business – tells you everything you need to know about your income, sales, customers, products and your latest 5000 transactions inside Paypal. 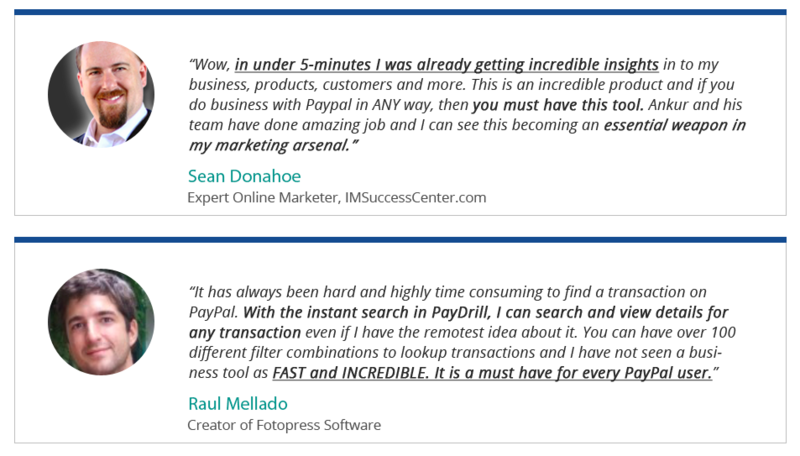 It also works 10 TIMES FASTER than your regular Paypal interface giving you INSTANT search results for product, sales and customers. 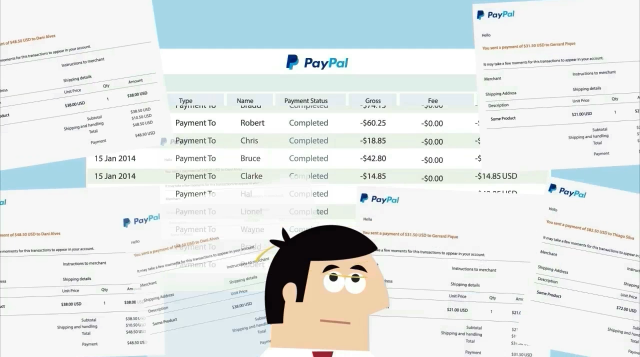 With PayDrill, you’ll have access to super smart info, insider data that you’ll never see inside your Paypal account. Yes! 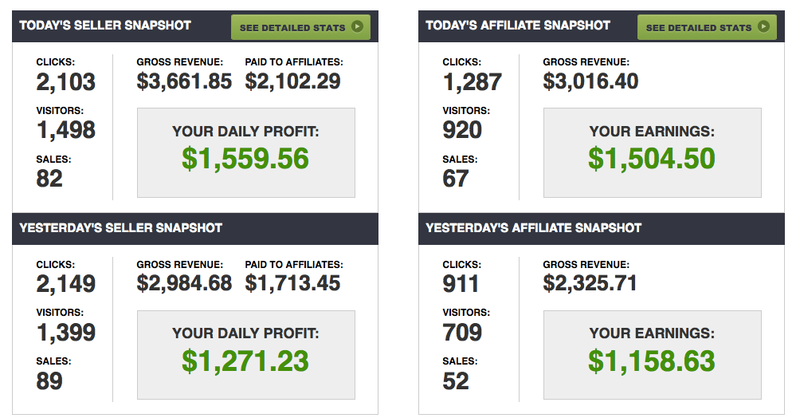 We got a 220% JUMP in our business in just 30 days. Want to get RESULTS like these? Step 1 – Activate PayDrill with your License Key.. Step 2 – Connect it to your Paypal account & download data. Step 3 – You’re DONE – PayDrill is ready show a whole new world. 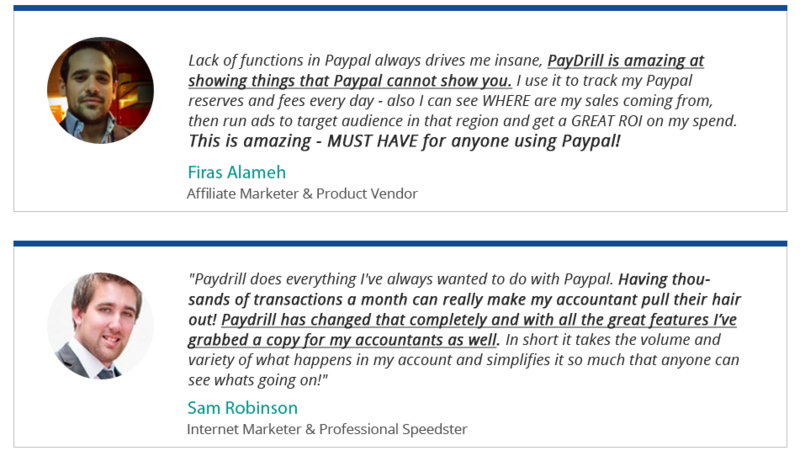 PayDrill uses a fully secure Paypal API to connect to your Paypal account and it downloads all your transaction history and data metrics to show you amazing data points about your online business that you’ll never see inside Paypal. 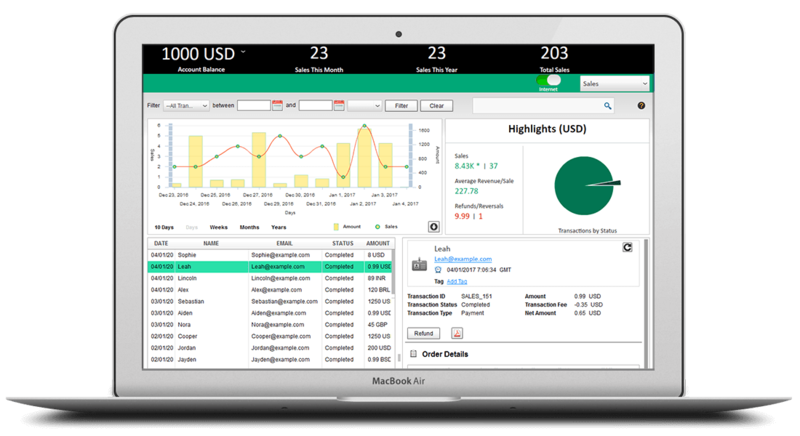 Just LAUNCH PAYDRILL from your computer and you’ll get access to many DASHBOARDS - each showing various important things about your business. 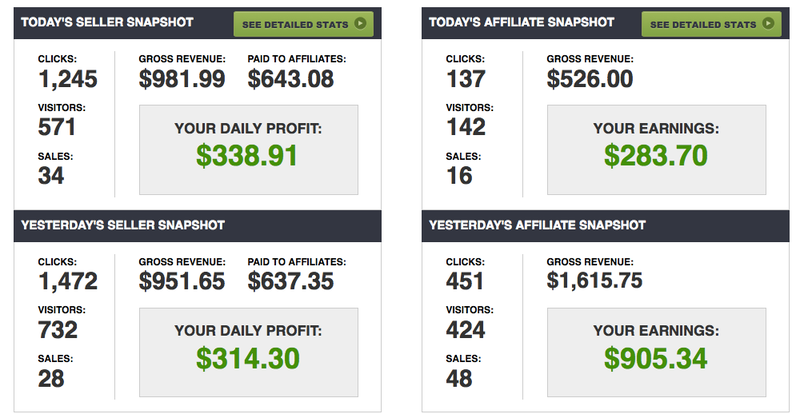 Shows you intelligent metrics along with a 30,000 feet overview of your online business instantly. Filter, Find and See details your latest 5000 transactions in under 1 second. Get instant access to customer info – never wait for results again. See Beautiful Charts & Graphs of your Sales performance. See how your products are doing + get customer details for each sale. Keep track of your expenses and payments, find, search and sort your payments instantly. Graphs & charts show you everything. Have you ever tried SEARCHING for a transaction in Paypal from few months back and come across a screen like this? We had the same problem, several times. Find and locate any transaction in your paypal account in under 1 second. SEND MONEY to anyone directly from your desktop in 2 clicks. Instantly issue refunds without jumping through 4 different steps. Export Customer Emails for your marketing campaigns. Find your most Loyal customers and reach out to them, build relationships. Your Total Sales so far and your NET sales in your business. Transaction Fees or any other fees you’ve paid for all the sales. See Stats about your Refunds & Chargebacks instantly. Your Bestselling Products & Services. See how many total customers you have. How many of them are REPEAT customers. Detailed Analysis & Tracking of up to 5000 transactions. See Transactions Today, This Month & Total transactions. Hotlinks in Transaction Details make searching super easy. The Trends Chart in the dashboard shows Sales trends over a period of time. Highlights show sales, average revenue per sale, refunds etc. 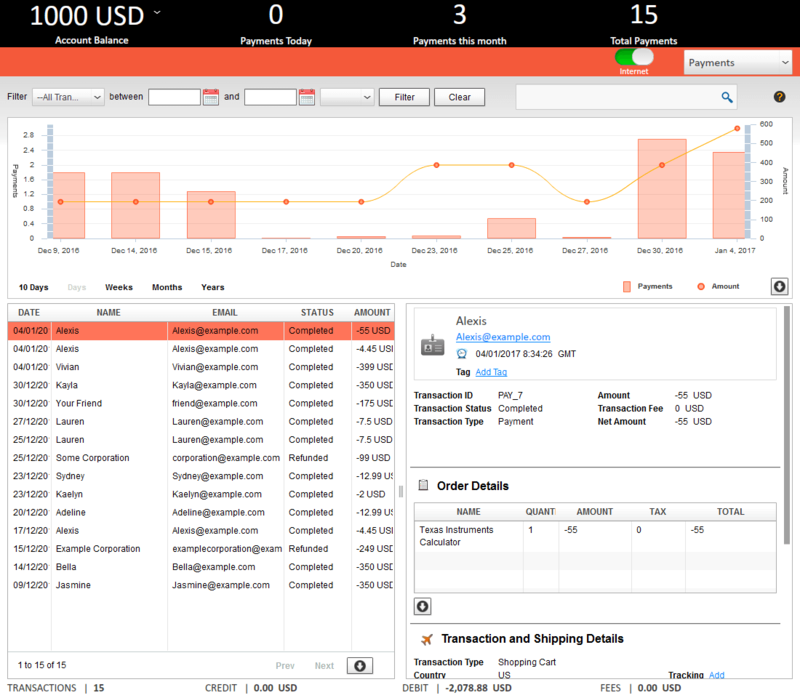 View your Sales transactions in a neat grid, instantly view 200+ sales. Filter & Search through sales data instantly, no waiting. Instantly view details for each sale in the same view, no hopping around. View Sale Details – name, quantity, amount, tax and total for every sale. Related Transactions for every sale in case of refund/disputes/chargebacks. Export PayPal sales, all or a part of it. Download Sales report in CSV instantly, without waiting. Freedom to do a lot of slicing & dicing with the data to analyze your sales. Track all your purchases & payments in one place. Highlights give you intelligent info about your payments. Immediately see All Details about a payment. Dynamic Search lets you immediately find payments. 2017 Update - Brand New Summary Dashboard with 200% More Data & Metrics. 2017 Update - View Customer Email Addresses by Default in Every Dashboard. 2017 Update - Add Tags for Identification and Faster Searching across Transactions. 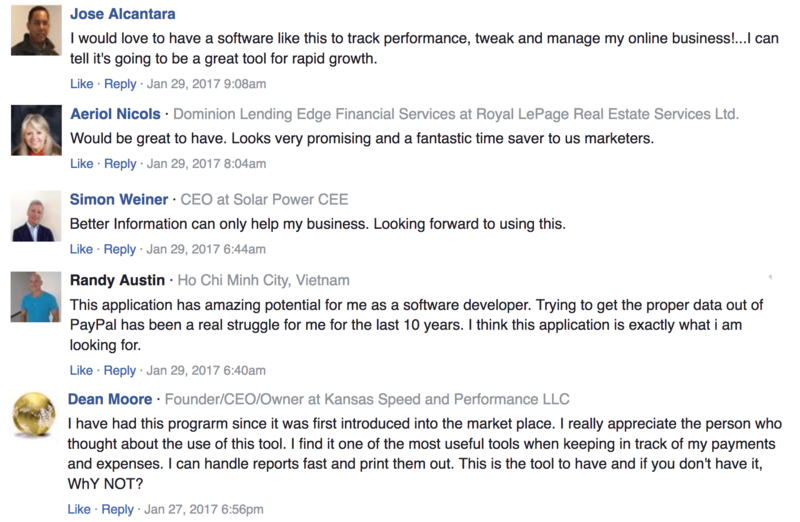 2017 Update - Instantly Download PDF Invoices for Every Sale that you make. 2017 Update - Add Tracking Numbers for Ebay & Physical Product Sales. 2017 Update - Support for 40 Timezones for Accurate Data Analytics and Reports. 2017 Update - Auto Refresh All Dashboards with New Data Instantly. 2017 Update - Floating Alerts & Notifications for New Transactions, Balance etc. 2017 Update - Faster, more efficient Database Engine. 2017 Update - Exciting new interface, metro layout and elegant design. 2017 Update - OTA updates. PayDrill does NOT store any of your data on our servers. We don't need to do that. All your transactions & data is stored directly ON YOUR COMPUTER. 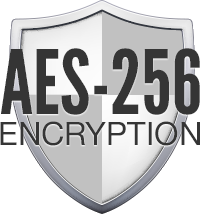 All your data is encrypted with 256-bit encryption, military-grade security. Unique Key used encrypt your data, only you can access it, no one else. Fully DESKTOP based, all your data stays with you, forever. 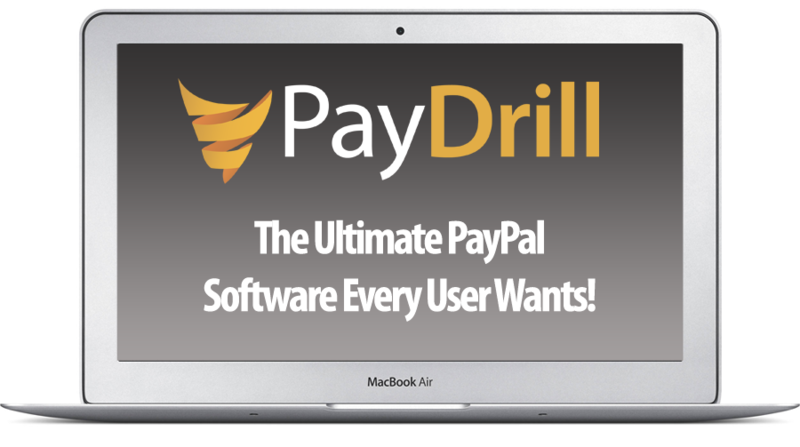 PayDrill never asks & does NOT need your paypal login information to do anything. FULLY Integrated with the official Paypal API to fetch data over Secure SSL - 100% Safe! Track your purchases & subscriptions instantly. Get a great overview of your expenses with chart view. Expense Trends and Graphs to show you how you’re spending. Instantly VIEW all your payments going out of your account. Dispute Transactions where product or service was not delivered. Maintain a history of purchases and refunds by vendor. Protect yourself from non-delivery. Instantly search for any payment & see if you got product you were promised or not. See RELATED transactions to any payment or transaction. Download Your Order Details for every purchase you made. Filter & Search across all payments to identify trends & details. 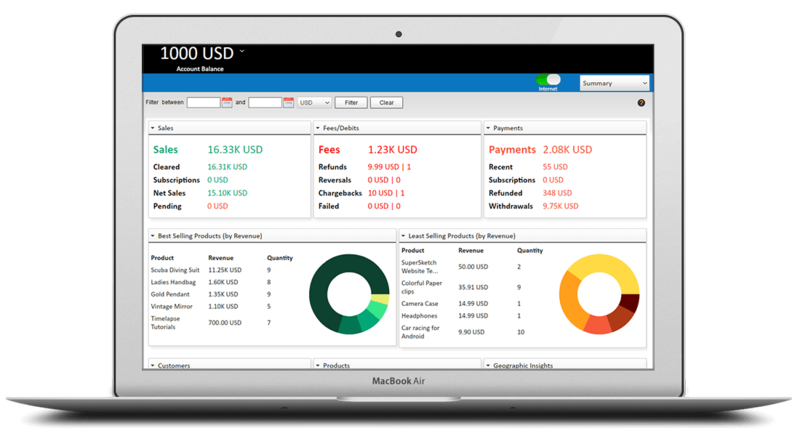 Instantly see Account Balance, Income & Sales Summary. See Metrics like Average Customer Value, Repeat Customers, Peak Order Time & Order Frequency that Paypal does not show you. Keep a Track of your Sales, Fees, Refunds & Chargebacks. Instantly See What Countries you do business with & what sells where the most. Take decisions about scaling products, sales campaigns or killing them based on metrics you see. 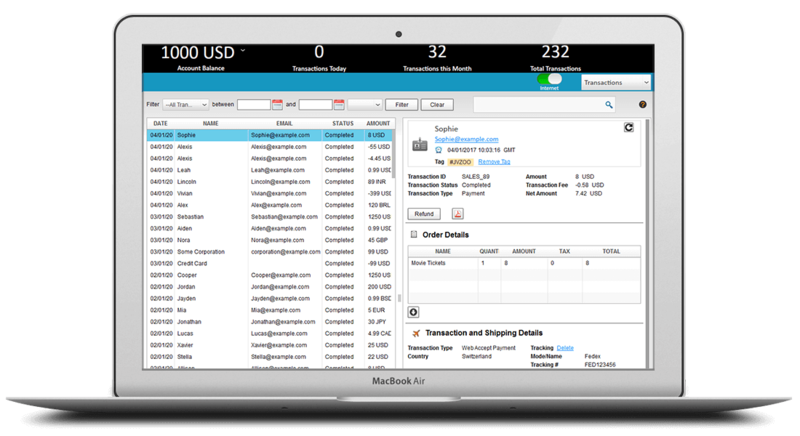 FIND Transactions in 1-SECOND, no more waiting or not finding results. 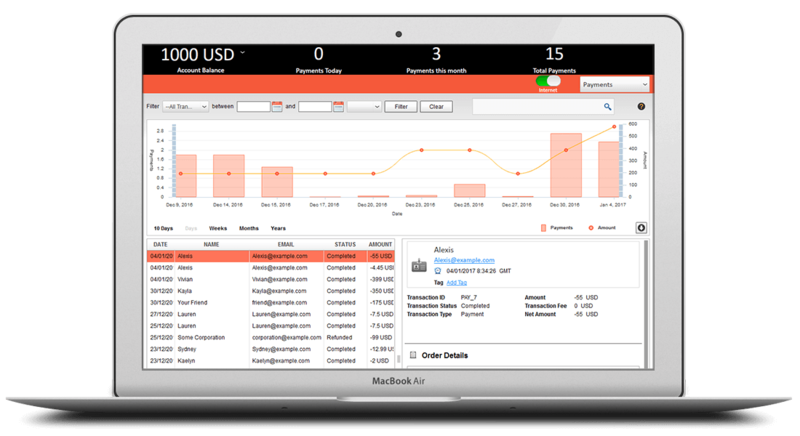 Perfect for Ecommerce Store Vendors to track sales. Optimize your funnels and product offers based on DATA and not guesswork. Find the right pricing to maximize profits & returns. Membership Sites can track lifetime value of customers and see drop rate of members, run campaigns at the right time to reduce churn. Your Accounting Woes will finally be over Get instantly CLARITY of your accounts. 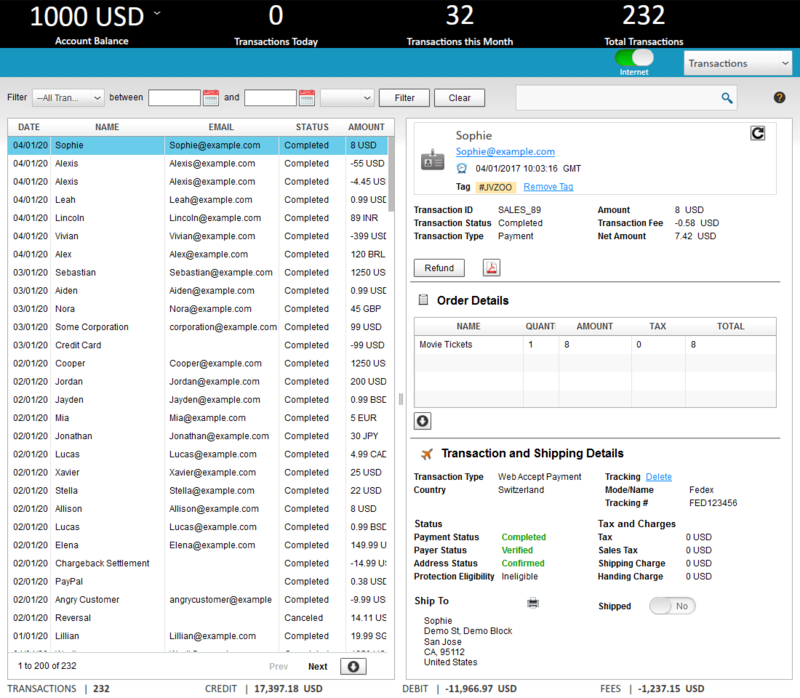 You will be able to access your transactions & sales SUPER FAST! 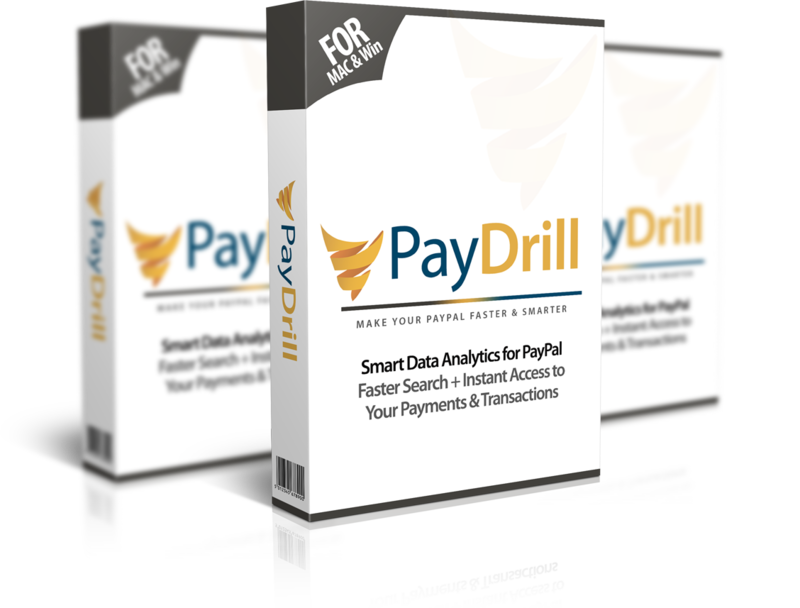 You will MAKE MORE MONEY by taking action on the data you get from PayDrill. Your competitors will have NO IDEA how you are beating them using DATA. Your ad campaigns will be MORE Profitable by using PayDrill's intelligence. You will FINALLY know the key metrics about your business that'll take you to the NEXT LEVEL. Yes you will get Complete Whitelabel rights to this WP Security plugin and you can sell this as your own and start generating sales for yourself. We sold 300 copies few months back with just ONE email and made over $8000 just from our subscribers. 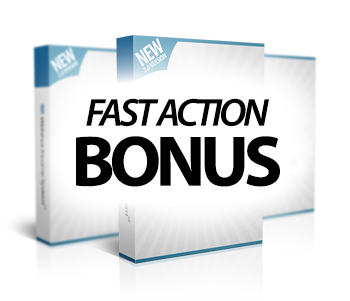 This will get your brand new software business started in just a few minutes. 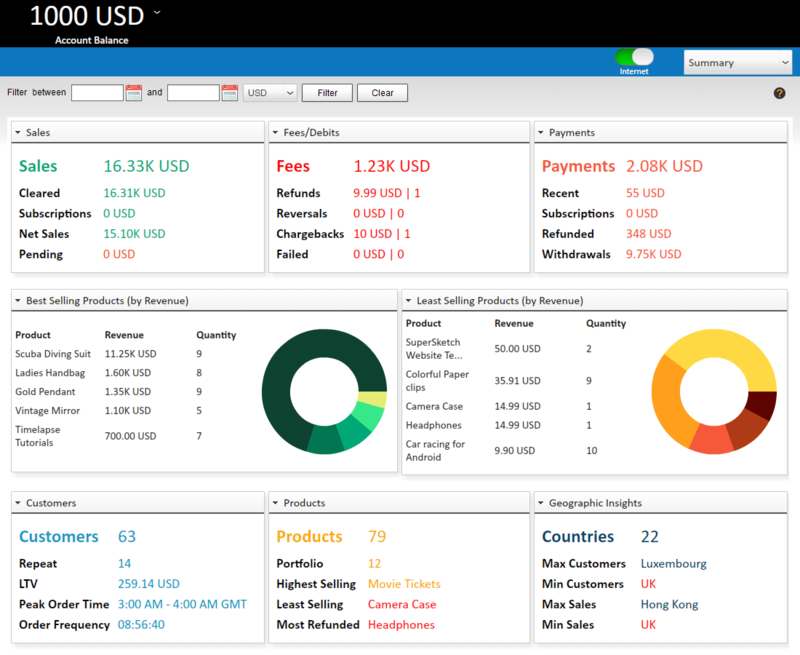 The ULTIMATE Software for PayPal is here! 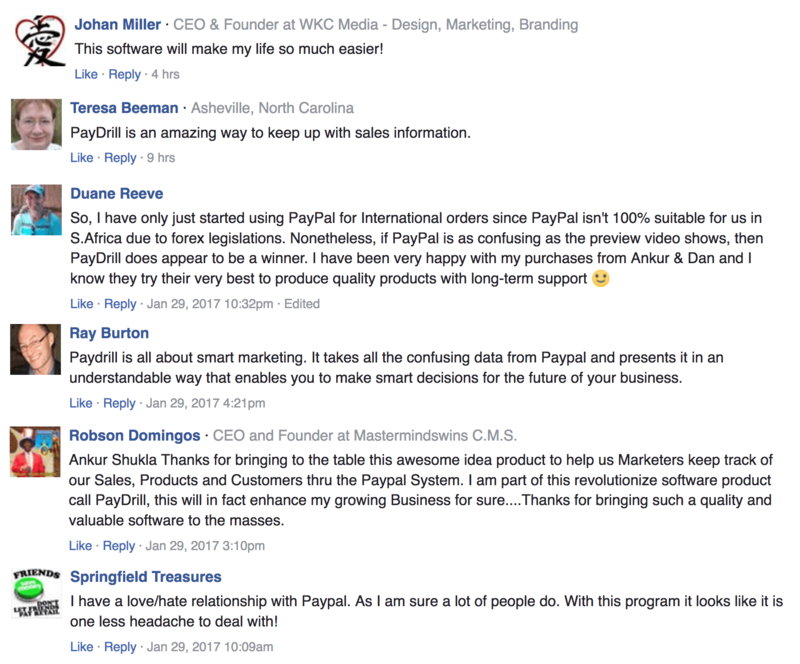 This is the BEST software you’ll purchase for Paypal because it will show you things about your business you’ve never seen before. IT’S TIME YOU TAKE ACTION! ACT NOW to Get Instant Access to PayDrill for 70% OFF! YOUR PURCHASE IS PROTECTED BY OUR 30-DAY MONEY BACK GUARANTEE! If you have any technical issues while using Paydrill and we fail to help you resolve the issue, we’ll give you 100% of your money back. Our moneyback guarantee applies to technical issues only – other than that, all sales are final. We do not offer a no-questions asked refund and you need to provide a valid reason for requesting one. 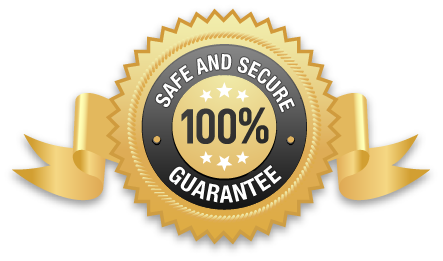 Our team has a 99% proven record of solving customer problems and helping them through any issues they have so you’re extremely safe & your purchase is protected. What type of Paypal account do I need for this? You need to have a PayPal Premier or Business account. Thats when Paypal gives you the API access which Paydrill uses to fetch your transactions. The good thing is, upgrading your account to a premier or business one is just 2 clicks of work! How many transactions will this track and analyze for me? PayDrill will track and analyze the latest 5000 transactions in the regular version and if you have a business that does more volume, you will get a chance to upgrade to our PRO version on the next page after your purchase here. Where and how do I start with PayDrill? How do I connect PayDrill to PayPal? At PayDrill, we take data security and privacy very seriously. 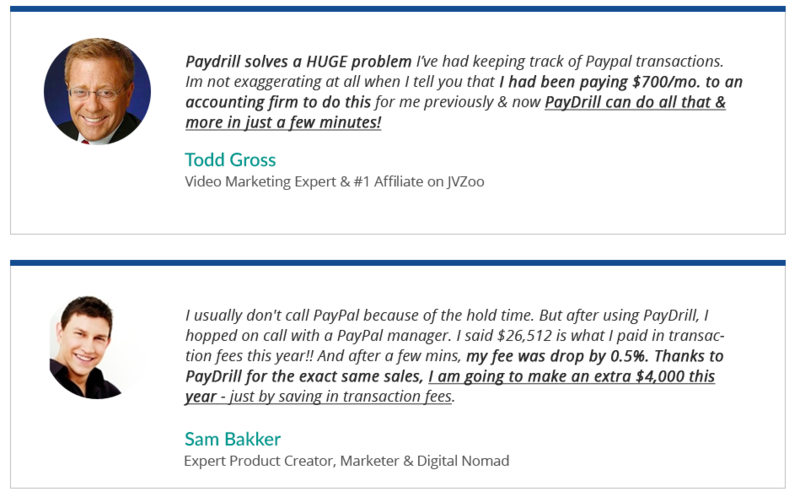 PayDrill talks directly to PayPal. We take all the necessary security measures like communicating with PayPal over secure protocols (HTTPS/ Secure SSL) and encrypting your data before saving it on your computer, where we use AES 256 Military Grade encryption techniques to safeguard your data. We made the encryption keys 100% unique, thus ruling out the chance of anything being able to view your data, but the PayDrill application running on your computer. What information is stored on the PayDrill servers? We only store the software license info on our servers which is checked every once in a while. Other than that all data related to your transactions and Paypal is stored on your computer and nowhere else. How many Paypal accounts can I connect? In this version, you can connect one Paypal account, you will later be offered a Business Edition that can connect upto 5 accounts. How long does PayDrill take to download/synchronize the data from PayPal? This entirely depends on how many transactions are being downloaded and upto which date have you configured PayDrill to download transactions. Default is 1 month of data, but you ask PayDrill to go back and fetch data for upto 5 years! With a good internet connection, PayDrill does anywhere between 1600 - 2000 transactions/hour. How do I check if I have the latest data? PayDrill automatically connects to your PayPal account and pulls in fresh data when you start the application. It also does so every few minutes (which is configurable) while you are working on PayDrill. How to Send Money to someone using PayDrill? Click on the 'Send Money' button, enter amount and email address to which you wish to send money. Note, that you need to have Mass Payments enabled in your PayPal account to use this feature. Can I stop data download? Yes, Just go to the Settings Dashboard -> API tab and hit the Stop Sync button. Can you change the data download date once configured? Yes you can! Once the existing data download/sync completes, go to Settings Dashboard -> API tab and hit the 'Edit Date' button. Select any date in the past (upto 5 years) and that will kickstart PayDrill to fetch data upto the selected date. Does this work OFFLINE? Do I need to be connected to internet at all times? All the data that's already synchronized can be accessed anytime, anywhere even without a working internet connect. You'd only need that if you want to see the latest data. With a single license, you can run the software on one computer or laptop.